Dominique and I have been going to Chaddsford Winery ever since we first met. She grew up in the Brandywine Valley. 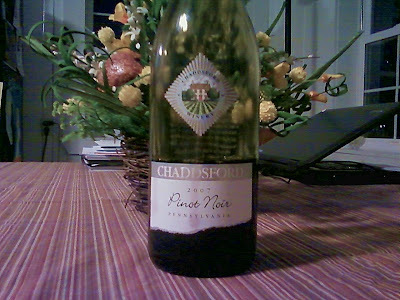 And the first winery I ever visited there was of course Chaddsford. Of course, Eric Miller is the son of New York state wine pioneer Mark Miller. Miller was so active and influential in pushing for new farm winery laws, that he received the first farm winery license in New York state. Miller had achieved great success as an illustrator, and had created several iconic artisitic styles for Madison Avenue before embracing his personal wine roots. In 1981, Eric left New York to start Chaddsford Winery with his wife Lee, a wine journalist who had published “Wine East of the Rockies” and co-founded Wine East magazine. For the Millers, the first step in founding Chaddsford Winery was to scour the east coast to find what they believed was the best grape growing region for their new venture. This journey brought them to the beautiful and historic Brandywine Valley in southeast Pennsylvania, and ultimately to the 17th century colonial barn that is still the winery’s home. Today, the Millers still believe they have found the best grape growing region on the east coast, and continue to work toward establishing the Atlantic Uplands as a significant American wine district. Eric is a great winemaker. 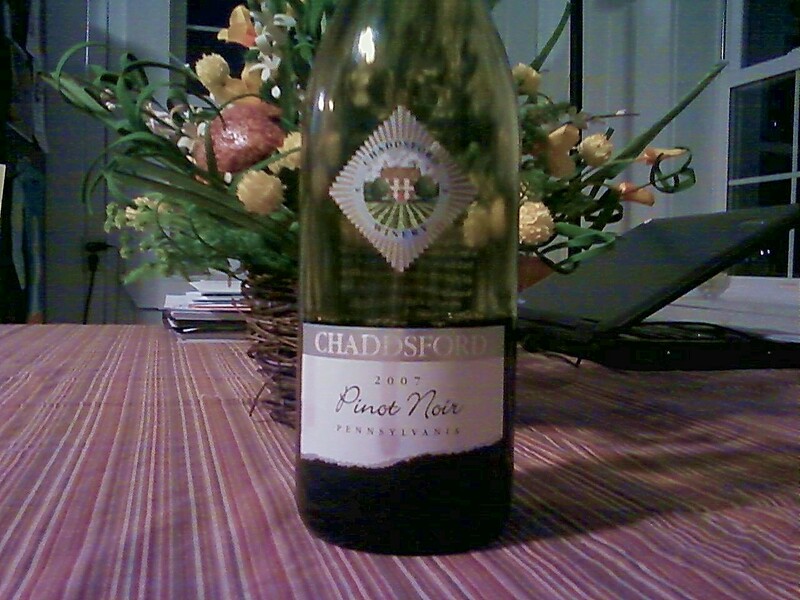 And Chaddsford Wineries continues to be one of the great wine estates of the eastern seaboard. He routinely gets high marks from Wine Spectator, Wine Enthusiast, and numerous other publications and blogs. Chaddsford is a monster in Pennsylvania. They are certainly one of the biggest producers, and they are still one of the best quality producers in the region. Eric has a way with wine. I came home one night, and Dominique had been in a creative mood, and made a special roasted chicken, stuffed with lemons and garlic cloves, and the outside skin rubbed with butter and seasoned with salt, pepper, and rosemary. The aromas in the house were incredible. She paired it with some butternut squash the consistency of mashed potatoes and some fresh slightly steamed green beans. There was a baguette to be had as well. The wine was delicious. It was fruity up front. Lots of light plum and strawberry. Maybe a hint of fresh raspberry? But on the back of the palate the wine balanced out with enough tannins and acidity to make it slightly chewy in a good way. With a fantastic dry finish, the flavor lasted a good 40 to 60 seconds on the palate. A lovely wine. And it complimented the meal perfectly. A light, but flavorful companion. A wonderful, light red dry wine. Of course, I didn't expect anything less from Eric. So last night, Dominique and I went out to dinner with some friends of ours - Bob and Linda, who publish Hudson Valley Wine Magazine. We are good friends, and we hadn't seen them in a long time. There was lots of pent up information to exchange, and laughs to be had. 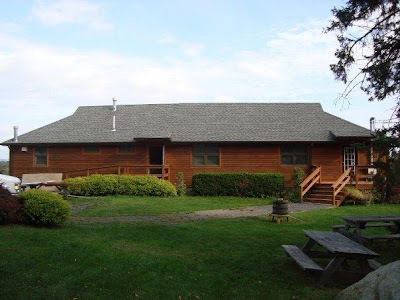 We chose Local 111, in Philmont, NY. Their menu is made from all local ingredients. Executive Chef Josephine is a regular shopper at the Hudson Farmer's Market, just off of Warren Street, in Hudson, NY. The evening started of well. We had a selection of toast with all manner of good things piled up on top, like fried fiddle heads, goat cheese with roasted garlic, seasonal vegetable medley. I will admit I was skeptical when we ordered them (toast? ), but they were incredible, bursting with flavor! We also had a special appetizer, which was cornmeal bellini with roasted seasonal vegetables and spring onion shoots. Wow! We needed a wine to stand up to our meal, as we were each ordering something different. And the menu was populated by a good selection of wines. Some from around the world, and some that were from NY state. Of course, you know we chose a New York state wine. 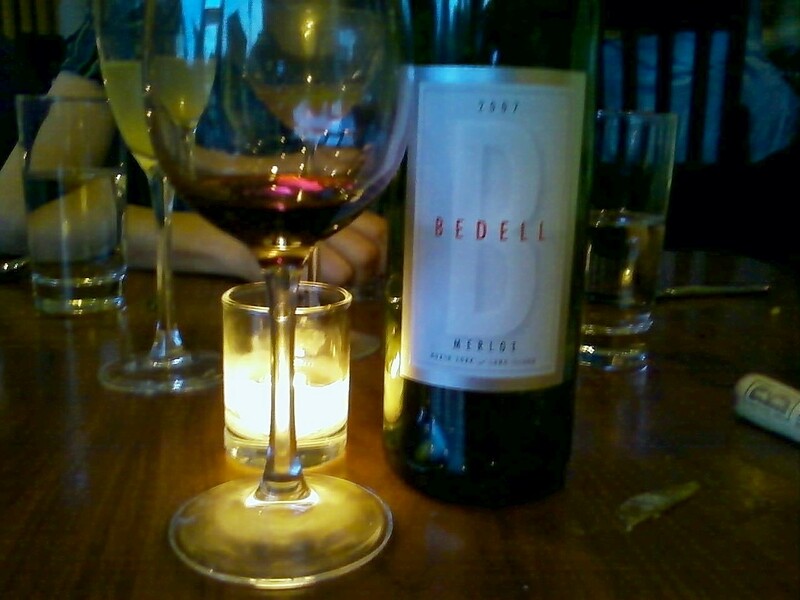 We chose a Bedell Cellars Merlot 2007. Bedell Cellars is among the oldest and most prestigious wineries on the North Fork of Long Island, America's ascendant new wine country. A nationally recognized leader in quality, Bedell produces critically acclaimed blends called Taste, Gallery, and Musée with artist labels commissioned from Barbara Kruger, Ross Bleckner, and Chuck Close, respectively. Bedell's owner, Michael Lynne, a distinguished film executive who produced The Lord of the Rings trilogy, The Nightmare on Elm Street series, Hairspray and the Austin Powers films, among many others, is raising the bar for quality among Long Island wine estates. Ten years into Michael Lynne's ownership, Bedell Cellars has consolidated its status as a world-class estate. Bedell's winemaking team is led by Consulting Oenologist Pascal Marty, formerly of Chateau Mouton Rothschild, Founding Winemaker Kip Bedell, Winemaker Kelly Urbanik, and industry veteran Vineyard Manager Dave Thompson. Bedell's wines have been critically acclaimed worldwide by such publications as The New York Times, London Daily Telegraph, Forbes, Fortune, and O the Oprah Magazine. Bedell Musée received a 90-point rating from Wine Spectator, matching the highest score ever awarded to a red wine from the Eastern U.S. And Wine Business Monthly named Bedell one of the 'Top 10 Hottest Small Brands' in the world. The Bedell Cellars Merlot 2007 was wonderful! 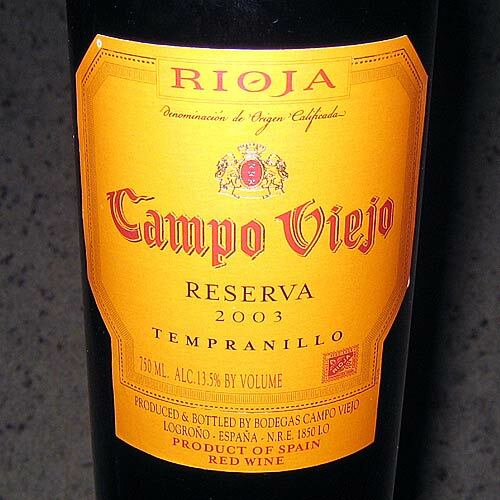 It had aromas of big cherries and other dark red fruits with a whiff of vanilla. On the palate there was plum, dark raspberries, a touch of mocha. And an elegant, well balanced finish. Beautiful! Merlot is what Bedell prides itself in. They are one of the best producers of Merlot on the entire east coast. The wine was proof that Bedell Cellars remains among the top echelon of wineries on the entire east coast. They've been there a long time, and their skills at producing top flight Merlot have advanced, making them an incredible Merlot producer - bar none. 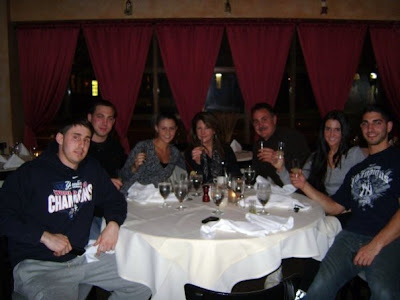 · RESTAURANTS You'll find hundreds of Mike's top spots for dining—whether you're craving a once-in-a-lifetime experience or simply the best wood-fired pizza in town. · BAKERIES AND CHOCOLATIERS Mike takes you from an Upper West Side bagel shop (owned by an immigrant Thai family) to exquisite handmade truffles in Soho. 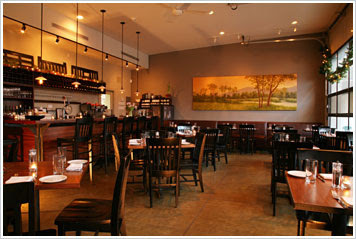 · WINE BARS Looking to sample Italian, French, or even South African wine (and food)? Mike reveals the best spots to find it. · WINE SHOPS Oenophiles and wine novices alike will discover the most knowledgeable, affordable, and friendly places to buy a bottle. · MARKETS Italian, Indian, or Korean specialties, the freshest fish, the sweetest fruit: Take the best of New York home with you, from Mike's favorite food shops. Mike has also developed and conducts several culinary programs through the iconic 92nd Street Y in Manhattan, including walking tours of New York's ethnic culinary neighborhoods, Q&A panel discussions with top New York chefs, and live cooking demonstrations at the VIKING showroom, where he is Chef in Residence, and he teaches hands-on cooking classes at the French Culinary Institute. A graduate of the CIA, Mike has worked in some of the city's best restaurants, including The Four Seasons, Tavern on the Green, and The Ritz Carlton, where he was Executive Chef. Mary Ann Esposito is the creator and host of the PBS series, Ciao Italia, televeised nationally and internationally. This year the series celebrates its milestone 20th year, making it the longest running cooking series on public television. Mary Ann holds a Masters Degree in food history from the University of New Hampshire. She also holds an honorary Doctorate Degree in Humane Letters from Saint Anselm College in Manchester, NH. Mary Ann studied in regional cooking schools throughout Italy and got her start in Perugia, Italy. She teaches classes in cooking schools throughout Italy each year. Mary Ann is the author of many cookbooks with her 11th, Ciao Italia- Five Ingredient Favorites, published last fall. Her bread book, What You Knead, won the International Cookbook Revue award for the best in its category, and was also named one of Food and Wine’s top cookbooks. Her book, Mangia Pasta, was nominated as one of the three best cookbooks tied to a television seires by the International Cookbook Revue. Mary Ann has appeared as a guest chef on the Today Show, Regis and Kathy Lee, Discovery, Food Network, QVC, Fox, Pax, Martha Stewart Radio, and a host of others. She has been featured in newspapers and magazines including People Magazine, TV Guide, Family Circle, Yankee and USA Today. She has also been honored by numerous organizations for her work in preserving traditional Italian foods and culture. 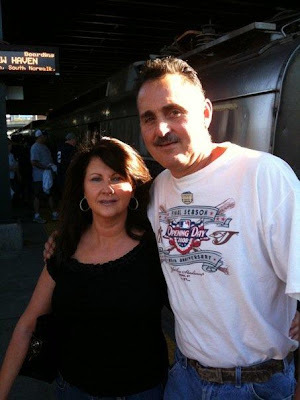 Peter Genovese is a feature writer for the Star Ledger in Newark, NJ. Nobody covers Jersey food like Peter. He is, perhaps, most famous for the MunchMobile where Peter, his guests and the MunchMobile search New Jersey for the best road food. You can follow their adventures on NJ.com/munchmobile and read about the State’s best pizza, best bars, chili cook off winners, best pastry shops and much more. He is also the author of several books including: The Food Lovers’ Guide to New Jersey (Best Local Specialties, Markets, Recipes, Restaurants, Events and more); Roadside New Jersey, Jersey Diners, The Great American Road Trip: US 1, Maine to Florida; New Jersey Curiosities, Roadside Florida, and The Jersey Shore Uncovered: A Revealing Season on the Beach.When it comes to food and New Jersey, there is no better expert than this! And he is happy to share with you the knowledge he has learned. Peter lives in South Jersey. “Put on your Bunny Slippers, pour a glass of wine and cook.” For years, as a culinary educator, this has been Barbara’s favorite phrase to set the scene for her students. The concept – relax, have a good time, and she will show you how to make cooking at home a breeze. • Featured chef for the Fun to Know DVD series on cooking by Millenium Interactive, Inc.
Barbara has published extensively both as a cookbook author and as a food and wine columnist. Her initial debut with Stress Free Cooking, in 2002, has led to numerous requests for contributions in local, regional and national print media. Barbara’s recipes, tips and tricks have appeared in New Jersey’s Star Ledger Savor, The Record Food, Garden State Woman and New Jersey Countryside. She is a contributing writer for the new Garden Plate Magazine and Cooking Light Magazine. Recently Barbara has released two new cookbooks. Sensational Seafood, in coordination with the American Diabetes Association debuted in the Fall 2008 and the Super Foods Weight Loss Cookbook in Spring 2008. Barbara continues her avocation for culinary education by teaching at various cooking schools in New York, New Jersey and Pennsylvania. She is professionally active as a member of The New York Chapter of Les Dames d'Escoffier International, The International Association of Culinary Professionals (IACP), The American Dietetics Association, and Women for Wine Sense. Barbara is a spokesperson for Colavita Olive Oil and Shady Brook Farms/Honeysuckle White Turkey brands. Barbara lives with her husband in, NJ. Chef Cindy opened our cooking demos last year and was so enthusiastically received we brought her back again this year! Cindy has an impressive background, starting with a degree from the Culinary Institute of America. She has also taught at the prestigious Johnson and Wales in Rhode Island for 10 years and has been with Wegmans for the past 12 years. Wegmans in Princeton is located at 240 Nassau Park Boulevard and opened 12 years ago. Wegman has been on Fortune's List of Top 100 companies to work for 12 years and this past year they ranked #3 on this prestigious list. Cindy leads Wegmans’ Chef’s Chat the first Saturday of the month, as well as the R.E.D. Club – a Reading, Eating and Drinking book club. She can also be found at a cooking station in the store. 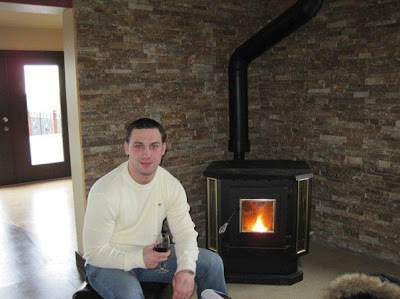 Carlo DeVito is a long time wine lover and author of magazine articles and books, including Wineries of the East Coast. 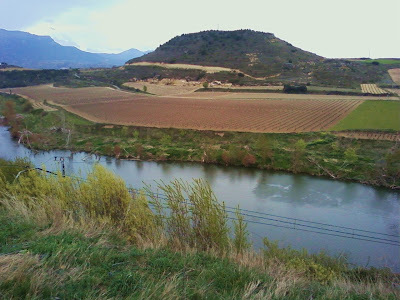 He has traveled to wine regions in California, Canada, up and down the east coast, France, Spain and Chile. He was also a publisher for Running Press Book Publishers, where he published books from Wine Spectator, as well as books with Greg Moore (of Moore Bros), Matt Kramer, Howard Goldberg, and many other wine writers. Mr. DeVito has also been the editor of many successful traditional books. He lives with his wife, pet publisher Dominique DeVito, and their two sons, their two dogs and numerous goldfish. Carlo has been quoted in the Washington Times and other newspapers and wine publications. Zita Keeley, born in New York City, NY now resides in both the USA and Europe. Her extensive background in media planning and events management, along with her passion for wine, food and travel have naturally brought her to the wine profession. After receiving her Bachelor of Arts degree from SUNY at Stonybrook, Zita worked in the television/film arena where within a few years she became a Vice President of the company. She soon was offered an opportunity to lead exclusive tours for families and organizations in the US and abroad and enjoyed that until moving to Europe. While Zita lived in England for 6 years exclusively, she was able to travel to over 20 countries sampling amazing food and wines. She was inspired to learn more about wine and did so at the distinguished Cordon Bleu school in London. After moving back to the USA, she continued her wine studies with notable wine educators such as; Michael Green of Gourmet Magazine, Harriett Lembeck, Wine A Spirits Educator and Master Sommelier Richard Dean to name a few, and started her own freelance wine consulting company, All I Do is Wine. She works with major wine retailers and importers including Wines from Spain, Wines of Argentina, PJ Wine and Pasternak Wines as well as appearing at conferences, trade tastings and charity functions. 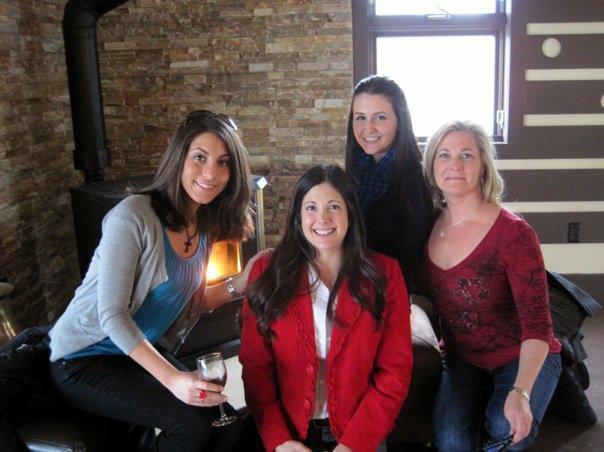 She is a partner of French Wine Tours specializing in a series of wine education tours throughout France. Zita is the founding President of the New Jersey Chapter of Women for Winesense, a national non-profit wine education organization and member of the Society of Wine Educators and American Wine Society. She received a special Rising Star Award from Women for Winesense in 2007. She has been interviewed and quoted by several publications here and in the UK. 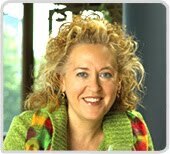 In addition to leading seminars and tastings, she writes the popular "Wining Woman" blog and monthly e-newsletter as well as Zita Keeley's Wine School. After producing the local cable access TV show "Time to Wine with Zita Keeley," she has now partnered with Hoboken-based Coalition films to produce a wine education show aimed at networks such as The Learning Channel of Food Network. The pilot is in production. Dr. Gary Pavlis is a professor and agricultural agent at Rutgers University. He works as a wine consultant in the USA, South Africa and China and has conducted classes for credit and leisure on all aspects of grape production, wine tasting and education. 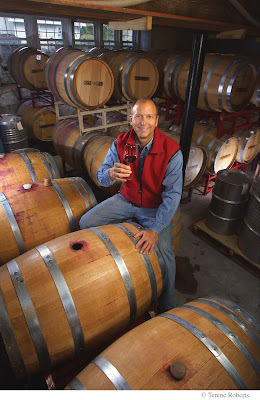 Gary regularly appears in print, on the radio and television educating the public on the intricacies of growing grapes in New Jersey or touting the benefits of drinking wine. He has taught for more than 20 years, has a 3000 bottle wine cellar, and never travels to anywhere that doesn’t produce wine. Mark Phillips is quickly becoming one of the most popular wine speakers in the nation. His irreverent approach and humorous delivery makes for an entertaining educational experience. Discovered by a public television executive, Mark is the right person to help guide you through the sometimes complicated world of wine. 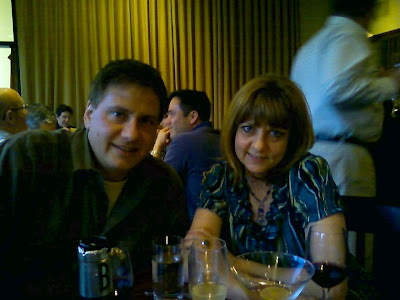 Mark is also Executive Director of the Wine Tasting Association based in Chicago, IL. The motto of the organization is, If you are a wine snob, WTA is not for you . Believing that the best wine is the wine you enjoy, Mark's message is informative - not preaching. Mark also offers products that reflect this appreciation for great wine. His recently developed wine glass may very well be the ultimate wine glass, his 8-CD audio course will turn you into an expert with his easy to remember wine rules, and his DVD Enjoying Wine with Mark Phillips is a best seller. Mark has also published a book Swallow This, which covers topics such as: How To Taste Wine; What Wines Go Best With Food; The One Ingredient That Makes Every Wine and Food Combo Work; How To Store, Save and Serve Wine; What To Do With the Cork When the Waiter Gives It To You; When To Send Back the Wine; When to Microwave Wine; When to Freeze Wine; Putting Wine in Tupperware, and much more. This piece recently ran in the Washington Post. 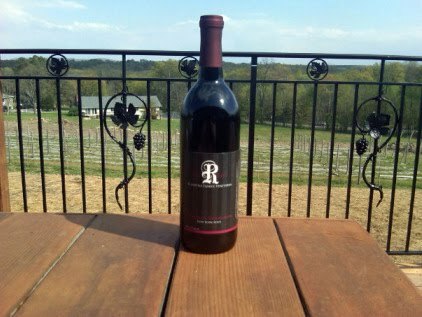 26 wineries in Virginia now make or bottle a wine made from Norton, a huge swing in direction from 10 years ago. Where has the time gone? A tremendous accomplishment for the state and for east coast wine. For those who are still trying to establish regional identities, the Norton explosion is testament that there are still grapes out there to explore and excite. 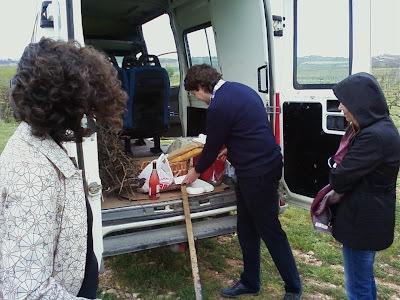 And special mention should go to Dennis Horton, who helped spread the good word in Virignia. "Whatever you do, don't get any of this on you," Jennifer McCloud said as she withdrew a turkey baster from the barrel. Most winery owners would have used a pipette, the slender glass tube used for extracting wine from a barrel. But her casual improvisation made the action more intimate and relaxed -- a gesture among friends rather than new acquaintances. She squeezed the bulb and squirted inky, purple liquid into my glass. The wine's color was incredibly dark, even for a young barrel sample. Clearly it would make a stain no amount of baking soda or salt could remove. This was my first visit to Chrysalis Vineyards in Loudoun County, in the late summer of 2001, and McCloud was preaching the gospel of Norton. It was not my first taste of Virginia's own grape, and I admitted to her that I was skeptical. I didn't care for Norton's in-your-face attack or the strong flavor called foxiness that betrayed its native heritage, I said. She argued forcefully that Norton was best suited to establish Virginia's reputation as a wine region, because it was created here and built to thrive in Virginia's tricky humid climate. At that point, McCloud had not released a commercial bottling of Norton, but she had already staked a claim to be Virginia's leading evangelist for its native grape. She is still spreading the message today. Her Nortons, most notably her top bottling called Locksley's Reserve, make a strong case for the grape. Today, 26 Virginia wineries make wine from Norton, and about 115 acres are planted in the Old Dominion. McCloud owns 40 of those acres, which she claims is the world's largest planting of Norton. Norton wine has some devoted followers, including Todd Kliman, author of "The Wild Vine," published this month and reviewed in my column yesterday. But Kliman describes Norton as an outsider wine, vying for recognition and respect among a crowded field of European grape varieties. Norton's skeptics don't like its pungent attack and super-high acidity. In my recent tastings, this singular character moderated after a day or two, and the wines became quite attractive by the third or fourth day after opening. But I doubt many consumers will be willing to open a wine on Monday in order to have it ready for Friday dinner. From austere dry table wines (Sakonnet, Thirsty Owl, Knapp, Atwater, etc.) to fabulous semi-sweet wines, to ice wines like Inniskillin, Pellar, Jackson-Triggs, Henry of Pelham, Sakonnet, Hunt Country Vineyards, Pinnacle, Ferrante, Atwater Estate, Fiori Vidal Ice Wine, Casa Larga, Standing Stone, Wagner, and many, many others. Vidal is one of the most popularly grown grapes in North America (and bought, I might add), but you won’t see wine snobs embracing it. Marcus Leaver (The CEO of Sterling), Jason Prince (Publisher, Adult Trade), Ana Fabiano (author), and myself (Sterling Epicure Editorial Director) went to Rioja to visit many important dignitaries there, as we had just signed an agreement to do the most important, complete, and comprehensive book on the Riojian wine region and Riojian wines ever published. From regional government participation as well as the participation of the Ministry of Agriculture, local wine extension professors, Riojian Wine officials, and a number of other people of local import, we were also going to be working closely with many of the region’s most important wineries and winemakers. One of the first stops was to visit Campo Viejo. 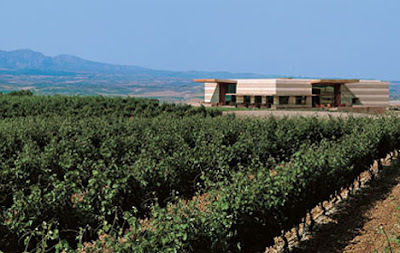 Campo Viejo is one of the most impressive winemaking operations one will ever see. It is one of the largest single plants in Spain, let alone Europe. More than 1 million gallons flows through their tanks at any one time. 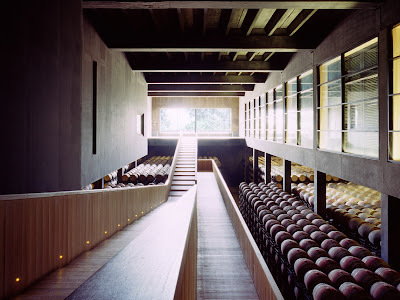 The new winery, just five years old, is austere, imposing, impressive, and just plain elegant as well as massive. The tank room, the bottle aging room, the barrel room are noting short of spectacular. The scale of the building (hidden mostly underground like an old World War II submarine pen) is one of the most well designed, impressive structures I have seen. It’s meant to impress, and it succeeds like nothing else. The sheer scale is dizzying. But it somehow lacks a certain personality until you meet the winemaker, Elena Adell San Pedro. She is one of the few women winemakers who really made a difference here in Rioja over the last three decades, and it is no mistake that she has been the winemaker here for years, and is at the top of her game right now, overseeing the largest production in all of Rioja. Elena is responsible for a little over 10% of Rioja’s total production. She bubbly, with bright twinkling eyes and her hair pulled back with beautiful, bejeweled combs, and large, swirling, curls of beautiful hair that seem to bounce and flow behind her. She makes wines in the most classic sense of the Riojian tradition, with Crianza, Riserva, and Gran Riserva. 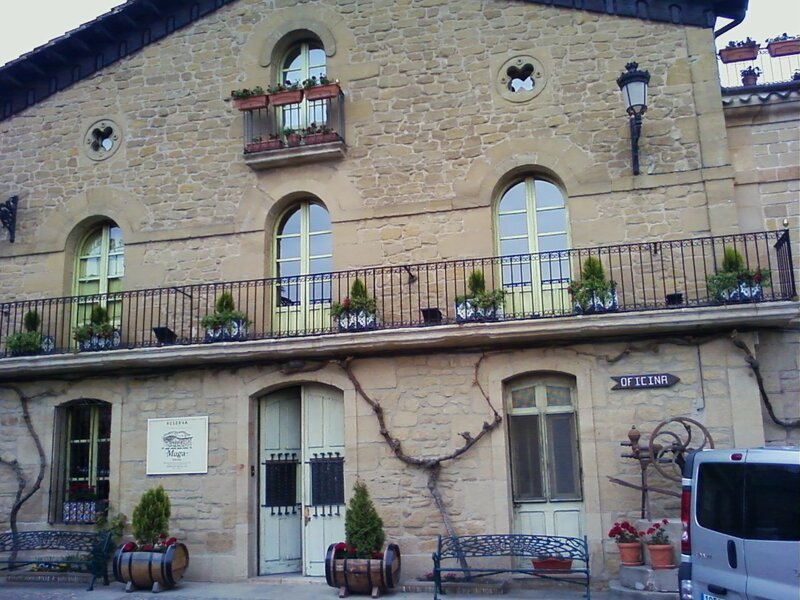 Her wines are fruity, elegant, and lean in a very old world and best practises in the European sense. Her wines are like the great Bordeaux wines. 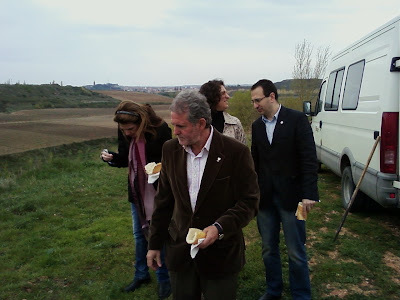 She served us our first few wines with local dried chritos, and a wonderful, hard, pungent white Spanish cheese. She served her best wines with a dinner that was served to us overlooking her vineyards. We started with a hearty and tremendous mixed vegetable stew, studded with small bits of local bacon, garlic, and douses in salt, pepper and olive oil. This was followed by a wonderful meat dish, and other deliectables. With each course, as the food got heartier, the wines also increased in their profile and depth. We had several fabulous wines. We had a lovely dry white. Exceptional. We then had the Crianza and the Reserva and the Gran Reserva. All were exceptional. Jorge Muga is a fourth generation grape grower and winemaker. He has grown up among the vines his entire life, and their cycles of dormancy and rebirth are the markers of his life. When you ask senor Muga where he’d like to go on vacation he answers, “Why would I go anywhere else?” An admitted habitual traveler in his youth, Muga prefers to spend time at the family winery or on his small private farm where he grows his own fruits and vegetables. He is an inveterate canner, and grower. 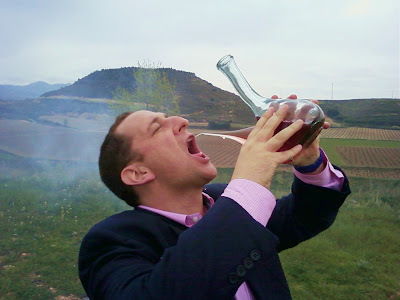 Among his other hobbies is making small distinctive homemade spicy regional-styled sausages known as chirito is Rioja. He likes his own personal sausages very spicy, but makes a more mild brand for visiting friends and guests. I was very excited when our car pulled up tot the Muga estate. It was a bricked in courtyard guarded by a large black wrought iron gate. He was tall with long, black wavy boyish hair, dotted with flecks of gray. He greeted us with his long, open arms. He then ushered us quickly into a large, white van, emblazoned with the Muga brand. 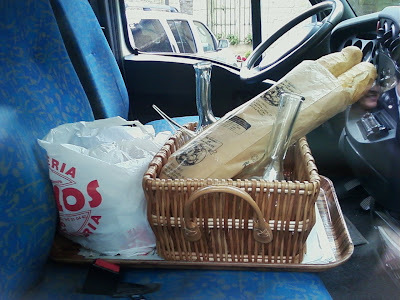 I had the good fortune to sit in the front seat, along side a large wicker basket, which held loafs of fresh baked bread, several empty glass decanters with spouts, and a bag of red small sausages. 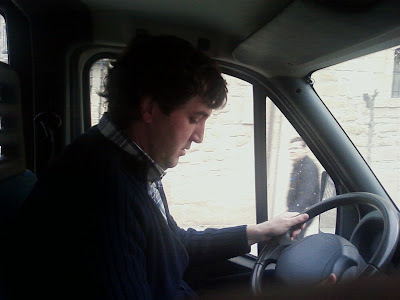 He drove us to several large vineyards filled with Tempranillo, Manzuela, and Granacha. 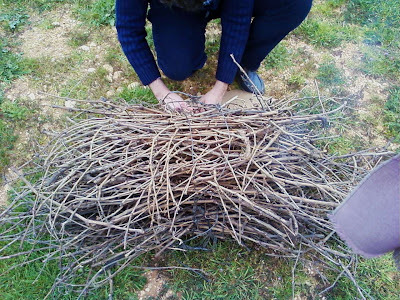 It was at a second stop out in the vineyards, on a hill over looking the Elba River, that Jorge threw down two large bundles of dried out grapevine cuttings. Underneath these bundles he threw scraps of corrugated cardboard. 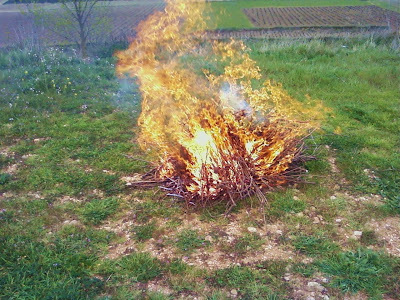 He then lit the cardboard on fire, and the bundles immediately began to smoke and then blaze, even in the stiff breeze that was consistent while the sun went in and out. Jorge then opened up a bottle of austere and elegant dry rose’, and poured it into the decanter with a spout. We all then took turns trying to drink this fabulous wine, drinking from the spout, and laughing at one another, when we missed, which was quite often. By the time the decanter had passed around and we had all laughed well, the fire had turned to embers. Then Jorge placed a small two-sided camper’s grill upon the embers, and then flipped it over so as to burn off any unwanted particles. 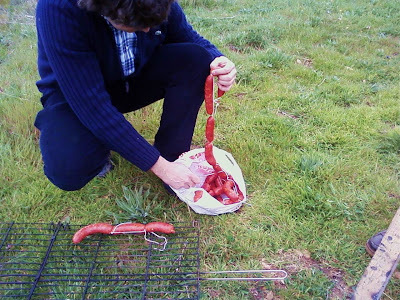 He then cut the sausages into three link lengths. 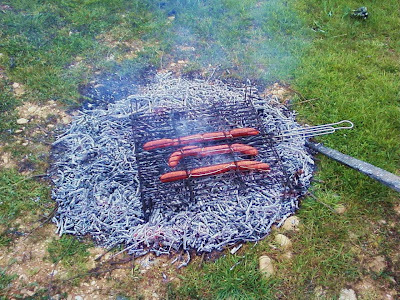 He laid them down between the two sides and then set the grill onto the embers. We took turns drinking more wine while the sausages sizzled, and endured more laughter. 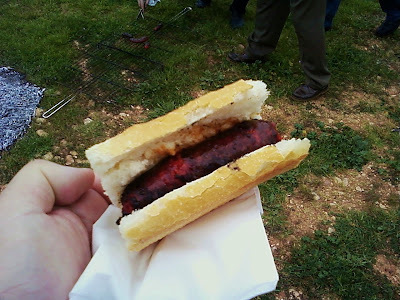 The baguette styled bread was broken into chunks and the sausages were placed one into each piece. The final product was incredible. With the breeze blowing, and the smell of the embers, and the wine and the sausage and the vineyards, it was an incredible experience. Last month I had dinner in Pitsfield, and tried a local brew, Opa-Opa Red Rock Amber. That’s right! Opa-Opa Brewing Company. The boys found help. 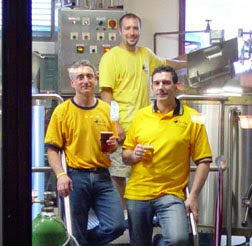 Dan Kramer is the Brewmaster and Dennis Bates the brewer. 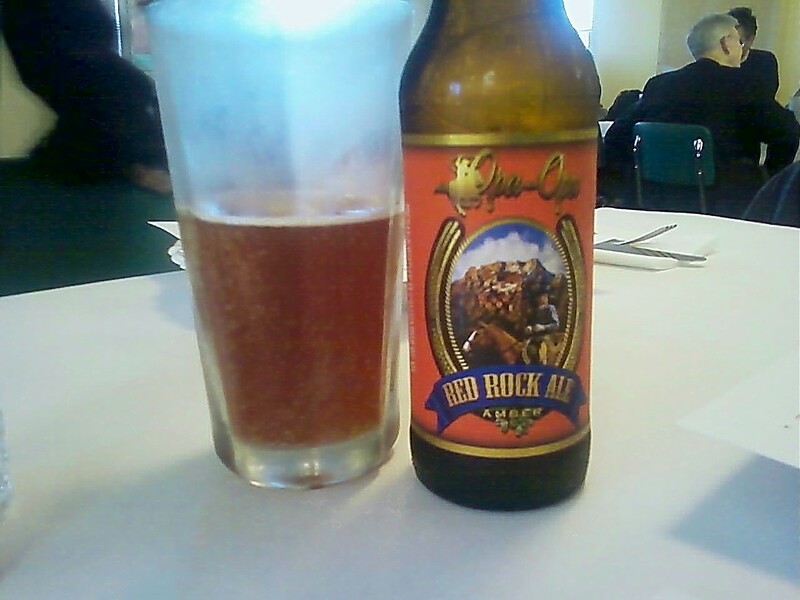 Red Rock Amber won gold medals at The Great International Beer Festival in 2005 and 2007. It is a blend of German Vienna malt and English Crystal malts that give this beer its great malty and slightly sweet caramel flavor. Very, very smooth finish. Delicious!!!! So it was a beautiful Sunday. Sun was shining. The farm looked beautiful. The kids were playing whiffle ball in the backyard. The grill was smoking and sizzling. The dog was asleep n the deck. And my father-in-law, Bob Hoover, was visiting after coming from a senior circuit enduro motorcycle event. I wanted something special to help celebrate the day. So I reached into the beer fridge and pulled out Flying Fish’s next new big bottle beer. 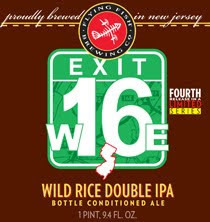 Exit 16 W E Wild Rice Double IPA. Exit 16 East and West is the Meadowlands exit. Although usually identified with landfills and pipelines, the Hackensack Meadowlands is an amazingly diverse ecosystem providing vital animal and plant habitat. 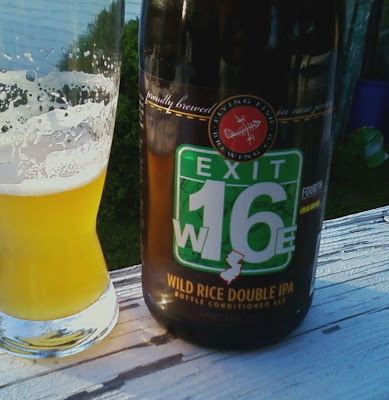 In a nod to a once common food plant here, they’ve brewed this beer with wild rice. They also added organic brown and white rice, as well as pils and pale malts. Anyway, I poured the beer for both of us. It was a beautiful, blond colored ale. It had a smooth taste, with lots of flavor and lots of strong hops. The bitter flavor made for a clean finish to a very tasty ale. This was an excellent beer. 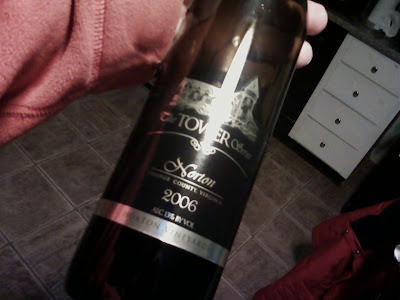 And being in a big bottle, I was savoring the idea of having it with grilled chicken and fresh salad from a local farm. Unfortunately, my father-in-law and I liked it so much, it never made the table. We finished it while watched an inning of whiffle ball which saw seven total runs, a brush back pitch, and lots of laughter. 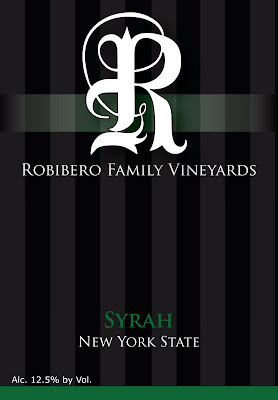 Hudson Valley Gets New Winery - Robibero Winery! Day long celebration includes complimentary wine tasting, food, live music, raffles, contests, and give-aways! Uncorking of newly released wines! 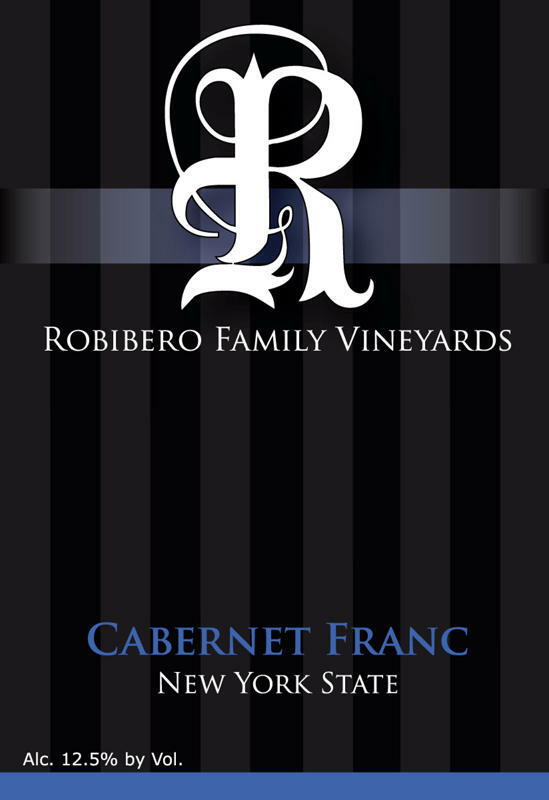 When Harry and Carole Robibero purchased the 42 acre land in 2003 there was an existing winery on the property. But Harry’s love for land and wine goes back decades. 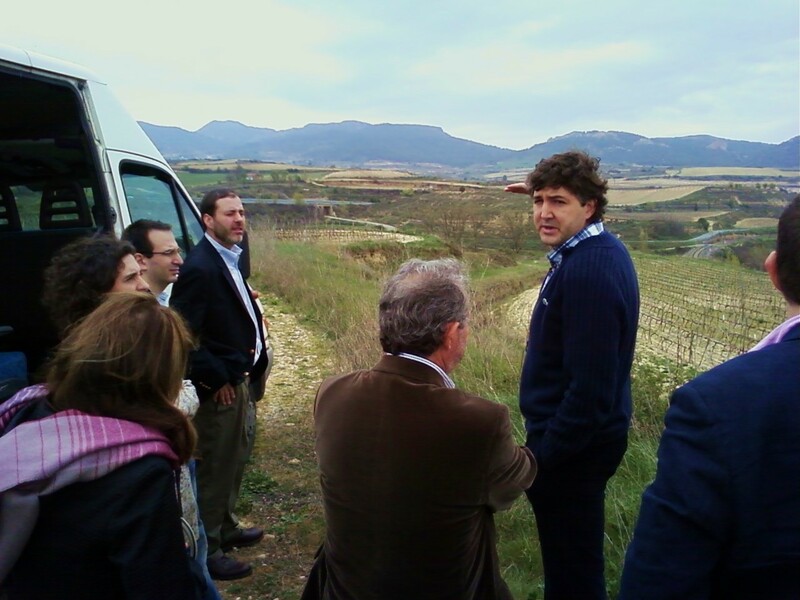 He dreamed of one day following in his grandfather’s footsteps and making outstanding wines. Luckily for him that dream happened sooner then he planned. In 2007 opportunity knocked unexpectedly when the current winery operating on the premise gave notice that they were vacating to a new location. It was at that point Harry, Carole and the Robibero family decided to follow their passion and pursue their dream of opening a winery. There are many people who are happy the Robiberos are in the Hudson Valley. They bring a fresh and exciting new dynamic to the valley. Starting a winery is not easy. And I know it. It’s a lot of hard work. The Robiberos made lots of renovations. Grueling hours. Backbreaking. Lots of sweat and tears. This of course, for Harry and Carole was followed by long commutes back to Westchester, to then spend endless hours doing paperwork for licensing and other winery work. But I don’t think they would have had it any other way. “Our plan is to make our winery a destination where people come to relax and enjoy our property. We want our tastings to be educational and fun. The goal is all about making sure people walk out our door with a smile on their face and create a unique experience that will stay in their heads forever. Tourism is a huge part of our plan, but Tiffany and Ryan who are running this whole venture have lots of energy and drive to not only brand "R" wine but to also bring lots of exposure to the Hudson Valley,” said proud father Harry. And he should be proud. Both Dominique and I have been very impressed by the poise and maturity of Tiffany and Ryan. “Their focus is to grab the attention of wine consumers more their age, the "millenials". We admit we are very new to all of this and have little experience but learning is a part of life and that's the beauty of it. When it comes to wine you can never learn enough or learn it all. Tiffany wants to share her story with others, explain to them that wine shouldn't be an overwhelming product, she plans to bring comfort to new wine consumers. She wants to create a brand, a brand that people will know, a brand that will sell not only to visitors in the tasting room but to the millenials across the country,” said Harry. The whole Robibero clan en familia! “Right now we are taking it one step at a time. We are still in the start up phase and have many things to get in order. We hope to become a part of the Shawangunk Wine Trail as well as host a variety of our own events. We have big plans, but everything takes time and money,” Harry opined. And don’t I know it! Two of the wines that will be available for tasting are the Cab Franc and the Syrah. This is very exciting news. 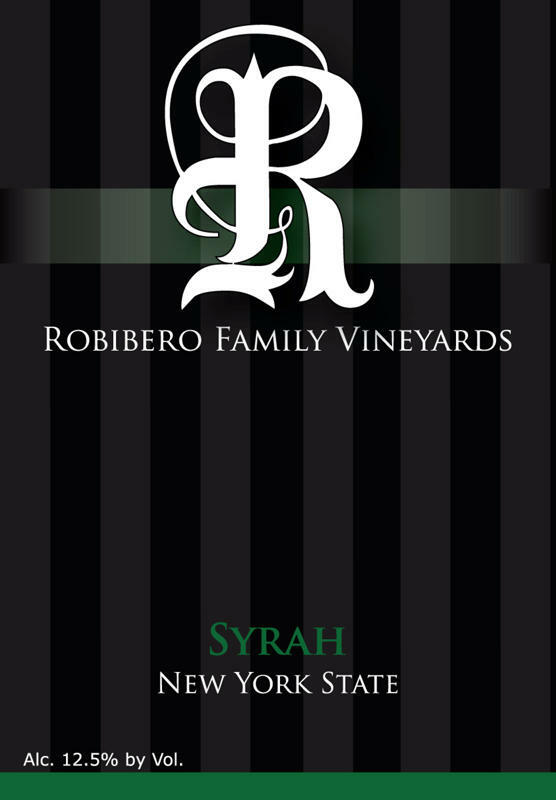 And all the wineries in the Valley want to welcome the Robiberos to the wine community, where we think they will make a great difference, to New Paltz (who has missed having a winery) and to the greater valley, and of course, make great wine! To them we say Bona Fortuna! Seriously, the Best of Luck!!! The Maryland wine industry continues to boil over with good news and good wine. Now here come three more of these new wineires. You've already read about Layton;s Chance, and here's two more! DEJON VINEYARDS. Baltimore County's newest winery is now open—right around the corner from Boordy Vineyards in the beautiful Long Green Valley! Read more. LAYTON'S CHANCE VINEYARD & WINERY. Prominent farm farmily plunges into the wine industry in Vienna, Dorchester Co. Join them for a ribbon cutting on May 21 @ 12:15 p.m. Read more. PORT OF LEONARDTOWN WINERY. Maryland's first cooperative winery brings together 15 grape growers under one winery-roof. 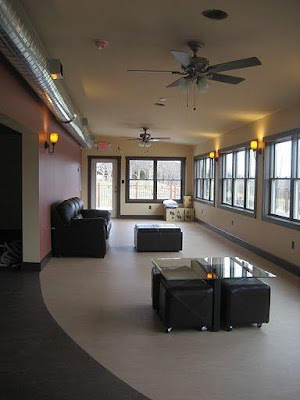 Visit the winery for their launch event on May 21 @ 2 p.m. Read more. 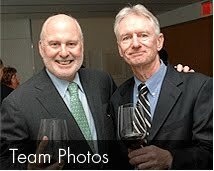 Bo Barrett of Chateau Montelena and Rioja Too!